The EU budget is modest in comparison with the size of the European economy and national budgets, but it can have a bigger impact than public spending at national level, by providing real European added value in different areas. Examples include cutting-edge research projects that bring together the best researchers from across Europe, large infrastructures or projects to succeed the digital transformation or equipping the Union with the tools it needs to protect and defend its citizens. The Commission is therefore proposing a modern, simple and flexible budget with different sector-specific financial programmes, which are going to promote innovation, creativity and intellectual property protection in the MFF. Horizon Europe is the next EU Research and Innovation programme, based on the achievements and success of Horizon 2020. 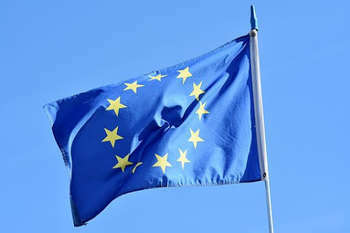 The European Commission has proposed a budget allocation of €100 billion for 2021-2027, which includes €97.6 bn under Horizon Europe (€3.5 bn of which will be allocated under the InvestEU Fund) and €2.4 bn for the Euratom Research and Training Programme. a new generation of European Partnerships and increased collaboration with other EU programmes: Horizon Europe will streamline the number of partnershipsthat the EU co-programmes or co-funds with partners like industry, civil society and funding foundations, in order to increase their effectiveness and impact in achieving Europe's policy priorities. Horizon Europe will promote effective and operational links with other future EU programmes, like Cohesion Policy, the European Defence Fund, the Digital Europe Programme and the Connecting Europe Facility, as well as with the international fusion energy project ITER. The Joint Research Centre (JRC), the Commission's science and knowledge service, will continue to contribute with scientific advice, technical support and dedicated research. For the next long-term EU budget 2021-2027, the European Commission has proposed to increase funding for Creative Europe, the programme supporting European cultural and creative sectors and audiovisual works, to €1.85 billion. 3. ACROSS CULTURAL AND MEDIA SECTORS: €160 million will fund SMEs and other organisations working in the cultural and creative sectors. The funding will also be used to promote cultural policy cooperation across the EU, to promote a free, diverse and pluralistic media environment, and to support qualitative journalism and media literacy. Culture has a positive role to play in reinforcing the resilience of European society and our economy. Due to digitisation and global competition, stronger support is needed for the European cultural and creative sectors. More can be done to stimulate cross-border productions, to ensure that European works are more widely distributed, and to ensure we make the most out of digital technology, while maintaining Europe's cultural and linguistic diversity. In addition, by reinforcing culture and creativity in the EU, we can better support media freedom and pluralism, crucial for maintaining open, inclusive and creative societies. This is why the Commission is proposing an increase of funding for the Creative Europe programme. The European Commission has proposed to create the first ever Digital Europe programme and invest €9.2 billion to align the next long-term EU budget 2021-2027 with increasing digital challenges. Ensuring a wide use of digital technologies across the economy and society: €1.3 billion will ensure the digital transformation of public administration and public services and their EU-wide interoperability and facilitate access to technology and knowhow for all businesses, notably SMEs. Digital Innovation Hubs will be 'one-stop shops' for small and medium-sized enterprises and public administrations, providing access to technological expertise and experimentation facilities, as well as advice to better assess the business case of digital transformation projects. A network of Digital Innovation Hubs will be supported, ensuring the widest geographical coverage across Europe. Digital Innovation Hubs are today one of the key elements of the Digitising European Industry strategy. The new €13 billion European Defence Fund will provide €4.1 billion to directly finance competitive and collaborative research projects, in particular through grants. Beyond the research phase, €8.9 billion will be available to complement Member States' investment by co-financing the costs for prototype development and the ensuing certification and testing requirements. The Fund will place the EU among the top 4 defence research and technology investors in Europe, and act as a catalyst for an innovative and competitive industrial and scientific base. permanent Structured Cooperation (PESCO) projects may, if eligible, receive an additional co-financing bonus of 10%, but funding is not automatic. The EU's economy is bouncing back, but additional investment efforts are needed to tackle persistent gaps between and within Member States. With a budget of €373 billion in commitments for 2021-2027, the future Cohesion Policy has the investment power to help bridge these gaps. Resources will continue to be geared towards regions that need to catch up with the rest of the EU. At the same time it will remain a strong, direct link between the EU and its regions and cities. a Europe closer to citizens, by supporting locally-led development strategies and sustainable urban development across the EU. This simplification enables synergies and flexibility between various strands within a given objective, removing artificial distinctions between different policies contributing to the same objective. It also lays the basis for thematic concentration for the ERDF and the ESF. Interregional and cross-border innovation projects will be facilitated by the new possibility for a region to use parts of its own allocation to fund projects anywhere in Europe jointly with other regions. The new generation of interregional and cross-border cooperation (“Interreg”) programmes will help Member States overcome cross-border obstacles and develop joint services. The Commission proposes a new instrument for border regions and Member States eager to harmonise their legal frameworks, the European Cross-Border Mechanism. Building on a successful pilot action from 2014-2020, the Commission proposes to create the Interregional Innovative Investments. Regions with matching ‘smart specialisation’ assets will be given more support to build pan-European clusters in priority sectors such as big data, circular economy, advanced manufacturing or cybersecurity. The iniatitive 'Stairway to Excellence' is another way the Commission is helping Europe's regions prepare for the future, with solid innovation strategies supported by EU funds in the next long-term EU budget for 2021-2027.
the Joint Research Centre will also organise networking opportunities and workshops for regions to meet and exchange good practices in building regional innovation strategies. This will also facilitate the development of partnerships for interregional innovation investments.